Sometimes it is hard to safely have fun with paints especially when it comes to younger children. Painting is fun for kids but they often end up with more paint on their bodies or in their mouths than they do on the paper. I found a super easy way that my child can have her paint and eat it too!! It is a very sticky messy paint but the joy on your children’s faces when they are creating their masterpiece is priceless. So grab some wet rags and a great big apron and have a great time. Open up your can of sweetened condensed milk and poor it into a container with a spout. 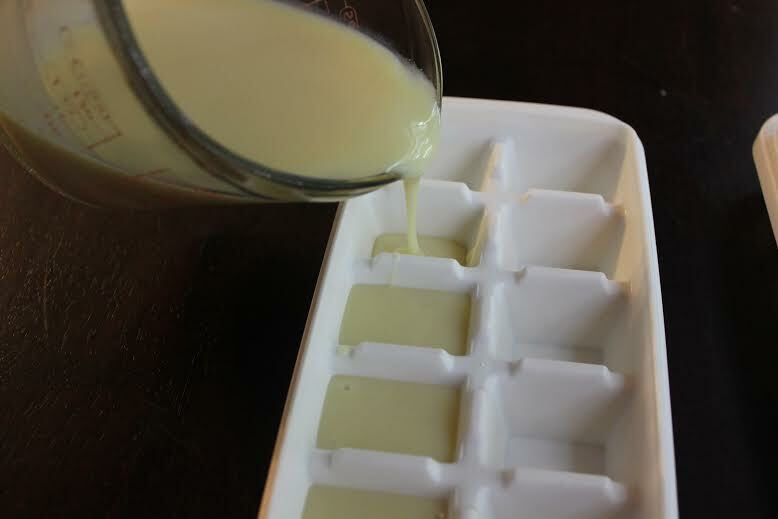 This will help you get it into the ice cube trays easier. I used one can and it filled up one ice cube tray with some left over. Now it’s time to make them colored. I used a drop or two of food coloring depending on the shade I was trying to achieve. 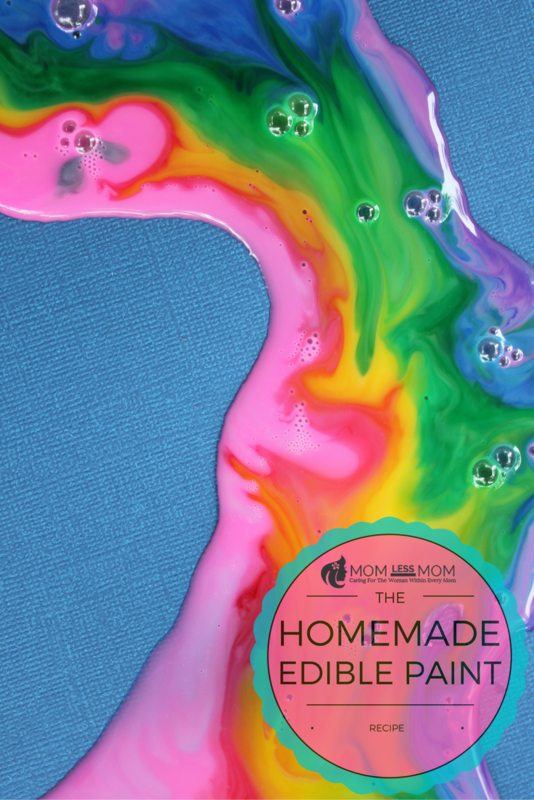 Now is the time to get creative with making some spectacular colors and a great way to teach your kids how mixing colors will achieve a brand new color! I wouldn’t necessarily stick this masterpiece in your drawer to keep forever. It can be a little smelly and takes a very long time to dry. If you paint is really thick on the paper you may want to take it outside to dry. We did have a problem where it got loaded onto the paper pretty thick and it started running all over the place as time went on. 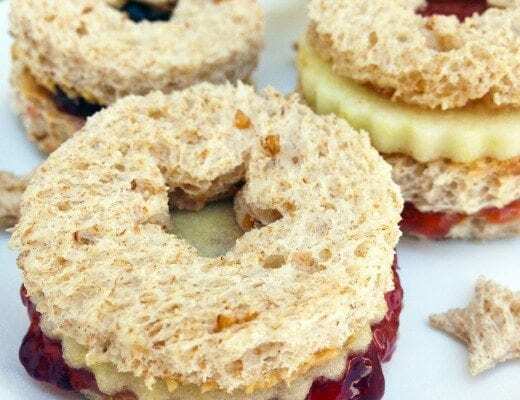 Be prepared that if you have a very young one and they do get a taste of it in their mouth they may start shoveling it in. 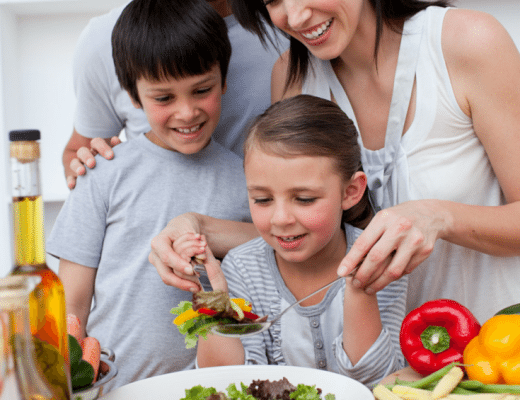 It’s normal and your child is not loosing their minds because it really does taste good! While this is a great idea, I’m not sure that I would want to have it be sweet and vanilla-flavored – I’m pretty sure that the flavoring would encourage my little guy to eat this! This is incredibly crafty and creative! The rainbow of colors looks so beautiful and inviting for little ones to play with too! Thanks for sharing. I am always on the hunt for a great new craft. I need this for my little one. She has a habit of still putting everything in her mouth so may have to do this. Thanks for sharing that recipe. 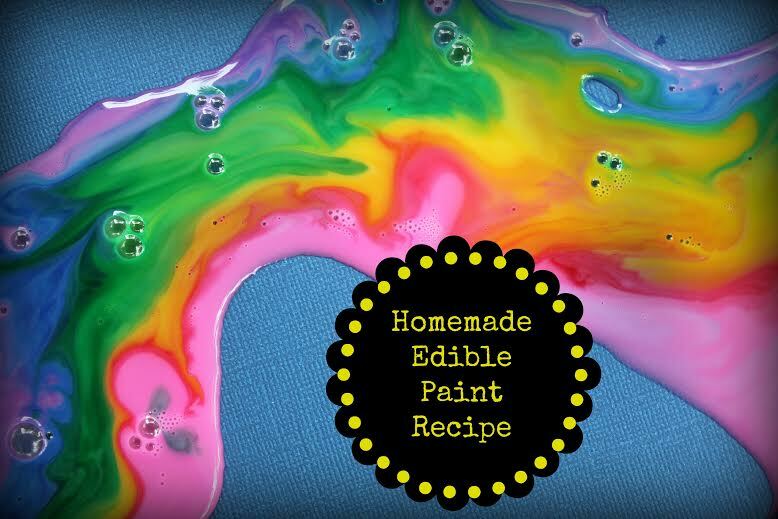 I like this idea for edible paint. When my son was little I made edible paint out of vanilla pudding. What an awesome idea. I need to go pin this so I remember to make it. My boys would LOVE this. That is a great alternative to the “other” type of paint out there. I think I would be with the kids and want to eat this paint too. Who doesn’t love the taste of sweetened condensed milk? Wow, that is a really cool idea, Vinma! 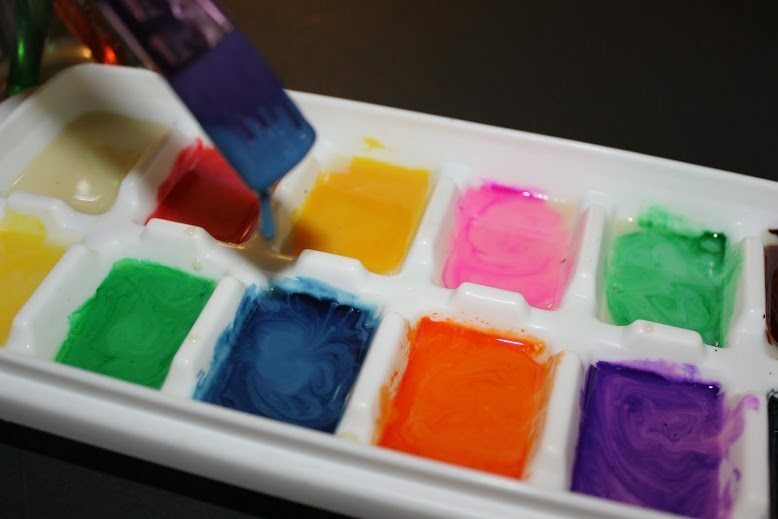 I love the idea that it is non toxic and I also love the idea of using ice cube trays to use as paint tray. Very cool. I guess it’s a good thing I rarely keep my kid’s masterpieces 🙂 Hopefully I won’t get caught recycling. Great idea. LOVE this idea and I’m going to share it with my daughter to do with my granddaughter! Such a great idea! And I love how vibrant the colors turn out! 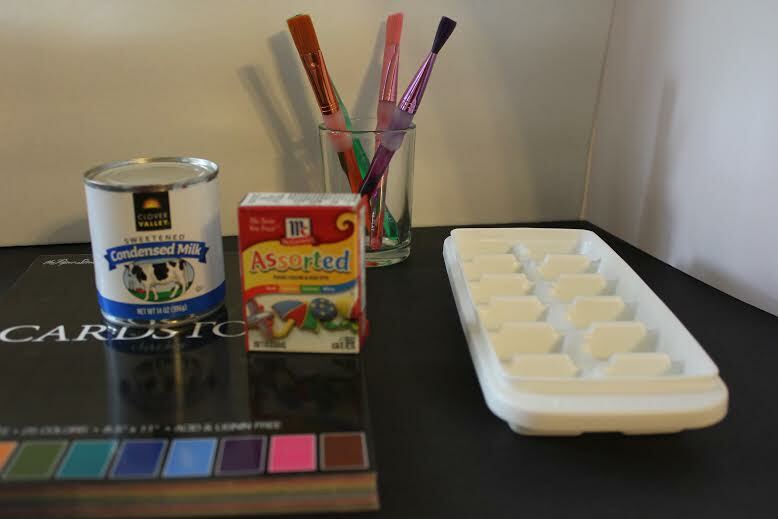 Such a cool idea – I’ve been afraid of introducing my toddler to paints for fear of him eating it. Must give this a try! Very “sweet” idea Vinma! Now when I go to get my Thanksgiving food, I will pick up some condensed milk! I already have the vanilla! Great idea! I’m not sure, but this actually strikes me as more of a fun for adults project. Like pretty dessert! Tammy recently posted…Were You Prepared for the Drudgery of Life?